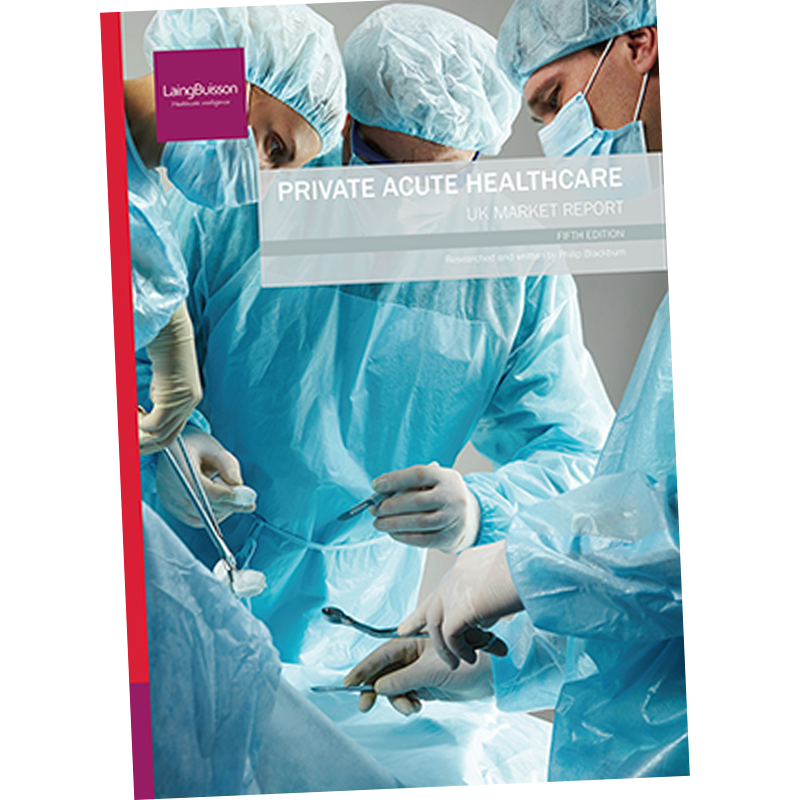 Self-funding, or private-pay, care home residents are keeping the sector afloat according to the latest figures from healthcare market intelligence provider LaingBuisson. The latest update to its Care Cost Benchmarks toolkit has found that the average fee per resident paid to care homes falls short of the real costs of service provision by more than £100 a week – a situation which means that those residents who pay from their own finances are filling a funding gap of £1.3 billion a year. Headline figures from the toolkit show that residential care homes in England for older people, which employ average levels of staff at average pay rates, currently need to charge fees of between £648 and £590 per week in order to generate a reasonable annual return on capital (set at 11% in the Care Cost Benchmarks model, a level appropriate for a moderately risky business). The higher figure reflects the fee level required for new premises, while the lower is for premises which do no more than pass basic regulatory standards. Actual fees being paid by councils, however, compare poorly with these levels. According to LaingBuisson analysis of NHS Digital returns, the costs borne by English councils for residential care of older people in independent sector care homes including council overheads stood at just £534 per week in 2015/16. 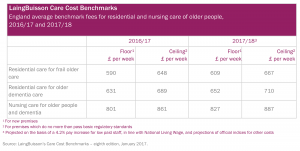 After stripping out those overheads, and projecting forwards, LaingBuisson estimates that average fee paid by English councils for residential care of older people was just £486 per week in 2016/17 – £104 per week below the ‘floor’ level of the Care Cost Benchmarks. Commenting on the figures, LaingBuisson founder and creator of the Care Cost Benchmarks toolkit William Laing said that the adoption of the National Living Wage and requirements to employ more carers to support residents with increasingly complex dependencies has fuelled an ‘inexorable rise’ in care home costs. Also for the first time, users can see projected care cost benchmarks for the next financial year, 2017/18, based on known National Living Wage rates and the application of official inflation indices for other care home costs. 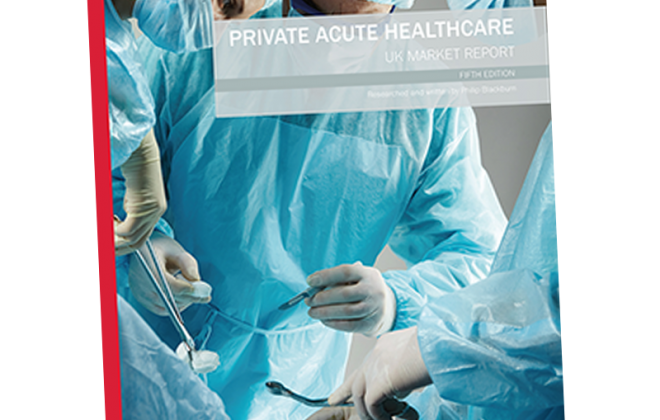 The main benchmarks for different types of care are set out below, together with projections to financial year 2017/18. Care Cost Benchmarks (formerly known as Fair Price for Care) is a subscription based service widely used by local authorities and associations of local care providers in their fee negotiations. The associated Toolkit Spreadsheet is populated with granular local cost data from LaingBuisson’s surveys of care homes. The latest, carried out in October / December 2016 asked care homes about the two major drivers of current costs, staff input and pay rates for each grade of staff. 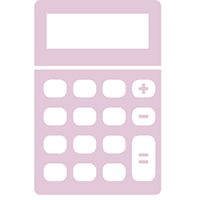 From the results, reasonable fee rates can be calculated as ‘ceiling’ to ‘floor’ ranges, the ‘ceiling’ allowing for the capital costs of a modern new home and the ‘floor’ allowing for minimum capital costs for old care home stock. Users can modify parameters to explore different scenarios.